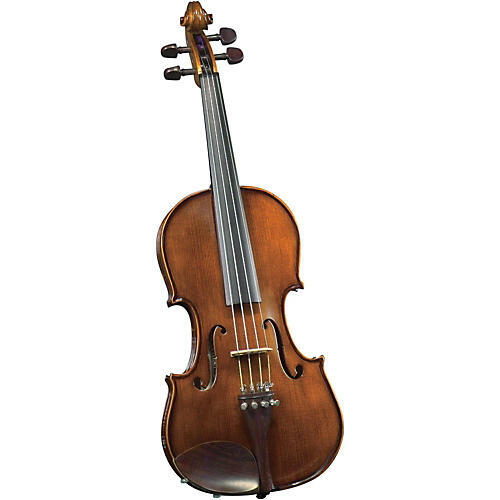 Premium solid tonewoods and exceptional design make this a violin to standout from the crowd. Any serious violinist would be thrilled to own an instrument that looks and sounds this beautiful. The SV-1400 Maestro Soloist, with its well-figured, one-piece maple back is highlighted by its lovely dark-brown oil varnish is the instrument that will be the talk of other players. As its name implies, this is the first choice for an aspiring soloist with premium Solid spruce top, premium solid flamed maple back and sides, plus boxwood trim, the SV-1400 will give you a lifetime of enjoyment! This instrument is setup to Cremona standards at their U.S. workshop.